CPU holders are essential to secure CPUs, provide substantial flexibility and keep the desk space uncluttered by fitting below the worksurface. Having these capabilities improves workflow, prevents static and dust from entering into the hard drive and keeps the CPU secure from accidental damage. CPUs remain accessible for inserting CDs or USBs. CPU holders are a necessary addition to the height adjustable office. 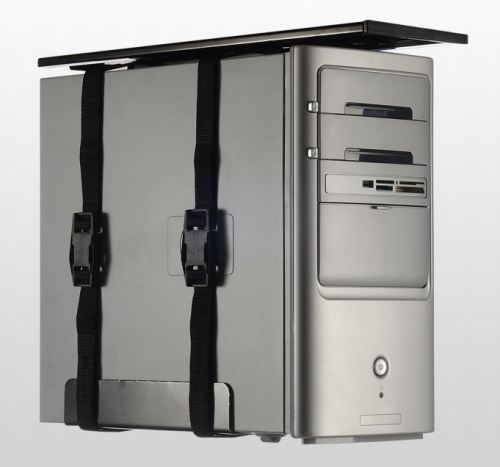 CPU holders ensure that cords do not become stretched or dislodged as the worksurface adjusts.